Cherish some unmatched vistas of nature with our Sikkim Gangtok Darjeeling tour. 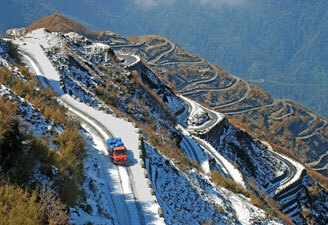 We make the best Sikkim tour packages to let you delve into the beauty of North East hamlets. 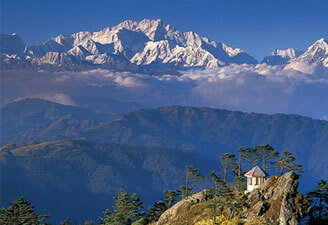 Gangtok tour packages also remain high in demand among tired souls seeking some moments of peace. We offer you specially contrived itineraries like Sikkim Darjeeling tour packages and Darjeeling Gangtok tour packages to let you see the best forms of nature sprawling around. Whether you are planning Sikkim travel or seeking the wonders of Gangtok tourism, contact us today for best prices and perfect itineraries. Meeting and assistance on arrival at New Jalpaiguri Railway Station/ Bagdogra Airport. Board your vehicle to Darjeeling (90 Kilometres / 03 hours). Arrive Darjeeling and transfer to Hotel. Excursion to Tiger Hill to watch the spectacular sunrise. Visit Ghoom Monastery while returning to the hotel. After breakfast, proceed for city tour visiting the Himalayan Mountaineering Institute, Zoological Park and the Tibetan Refugee Centre. Overnight stay at Hotel in Darjeeling. Drive to Pelling. In the afternoon, a walking excursion to Sango-Choling monastery - Sikkim's second oldest monastery and definitely one of the best located. Overnight stay at Hotel in Pelling. Drive to Gangtok en route visiting Pemayangste Monastery - One of the oldest monasteries of Sikkim. Pemayangtse boasts of a splendid collection of ancient Buddhist antique idols, scriptures as well as sculptures & Rabdantse Ruins. Overnight stay at Hotel in Gangtok. City tour of Gangtok - Visit the Enchey Monastery, Do Drul Chorten, Research Institute of Tibetology, Government Institute of Cottage Industries. In the afternoon, excursion to Rumtek Monastery - the largest and one of the most important monasteries in entire Sikkim. Overnight stay at Hotel in Gangtok. 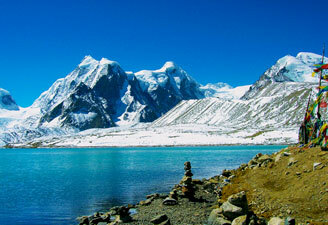 Excursion to Tsongu Lake and Nathu La Pass. At 12,400 ft through the Kyongnosal alpine Sanctuary, this holy lake is near the Chinese border & is frozen for 4 months in winter. 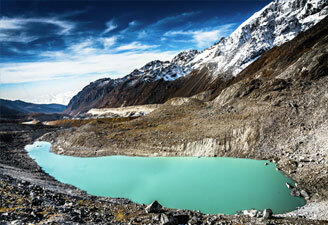 A 40-Km drive takes you to this high altitude alpine region in 1 ½ hours. Then proceed to Nathula pass on the Indo-China border. Return back to the Hotel in Gangtok for overnight stay. Drive to Kalimpong in the mornning. 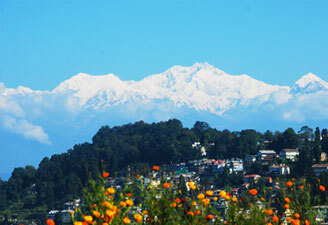 In the afternoon, city tour of Kalimpong visiting Monasteries and Flower Nurseries. Overnight stay at Hotel in Kalimpong. Depart Kalimpong for New Jalpaiguri Railway station/ Bagdogra airport (80 Km/ approx. 2 ½ hrs) by road to connect for your onward destination.